Nathan Eovaldi undergoes an arthroscopic procedure on his right elbow and is expected to miss six weeks. Rays looking to build on Mondays come-from-behind win, Royals are starting Homer Bailey. Monday night's postponed game to be made up as part of a doubleheader Tuesday. It's not as simple as one player single-handedly turning things around -- even when it's one of the best players in Major League Baseball. 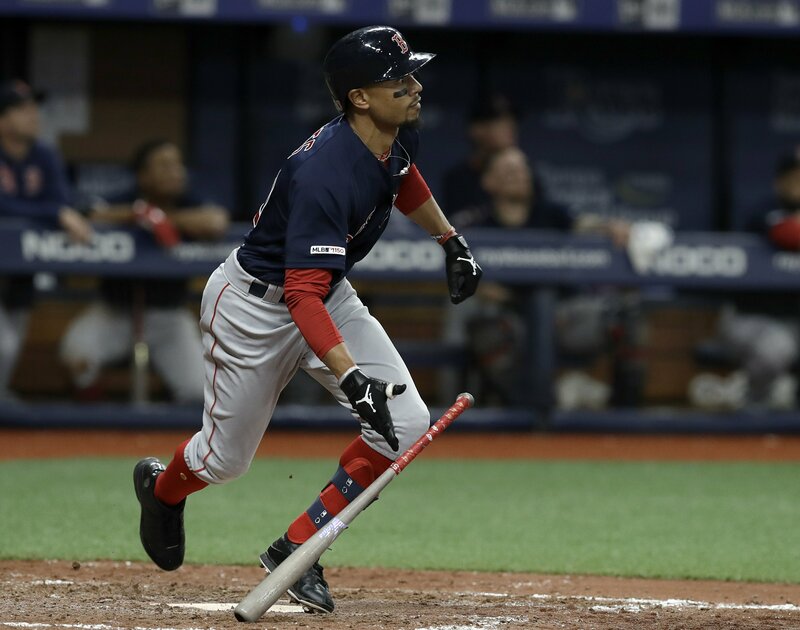 Mookie Betts, Mitch Moreland and Christian Vasquez hit home runs on Friday night to lead the Red Sox to a 6-4 win over Tampa Bay.